It is 1962, and Elisa Esposito—mute her whole life, orphaned as a child—is struggling with her humdrum existence as a janitor working the graveyard shift at Baltimore's Occam Aerospace Research Center. Were it not for Zelda, a protective coworker, and Giles, her loving neighbor, she doesn't know how she'd make it through the day. Then, one fateful night, she sees something she was never meant to see, the Center's most sensitive asset ever: an amphibious man, captured in the Amazon, to be studied for Cold War advancements. The creature is terrifying but also magnificent, capable of language and of understanding emotions...and Elisa can't keep away. Using sign language, the two learn to communicate. Soon, affection turns into love, and the creature becomes Elisa's sole reason to live. 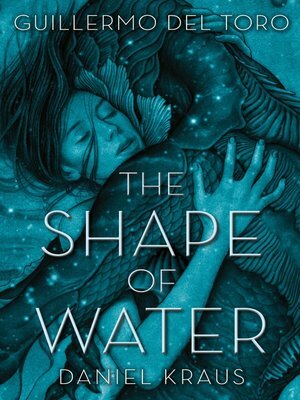 Developed from the ground up as a bold two-tiered release—one story interpreted by two artists in the independent mediums of literature and film—The Shape of Water is unlike anything you've ever read or seen.